So we are basically 3 weeks post flood. We are referring to the event in multiple ways: the day our house leaked; the great flood of 2015; the unplanned remodeling; the unplanned packing party. It really depends on the day! Moving to a small studio hotel suite has been challenging to say the least. The house being empty isn’t bothering us – maybe decluttering the stuff has made a difference in our views! 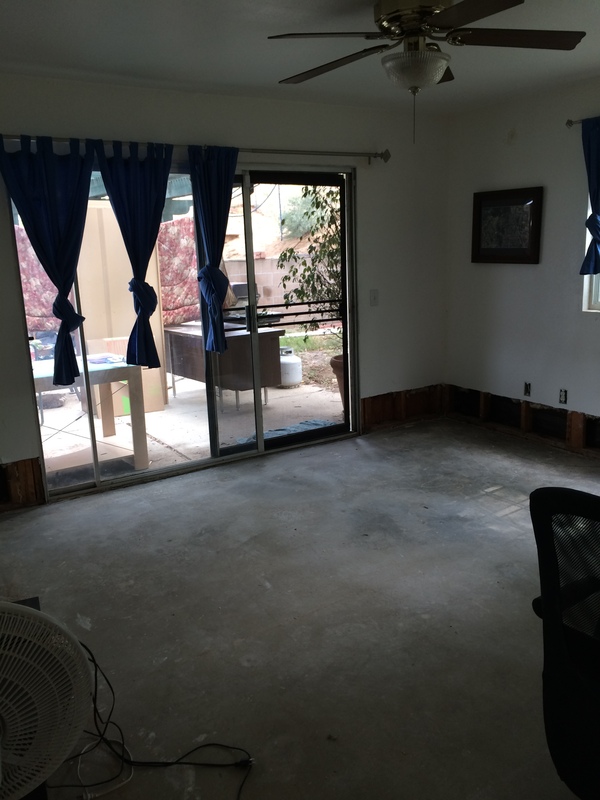 Things removed: drywall, all flooring, all doors and door frames, bathroom vanities, and all our belongings. Removing the damaged drywall, etc was $8331. Asbestos test was $750. Now to the rebuilding: The furniture is being restored at a cost of $6927. Insurance gave us $24,197 for structural repairs. 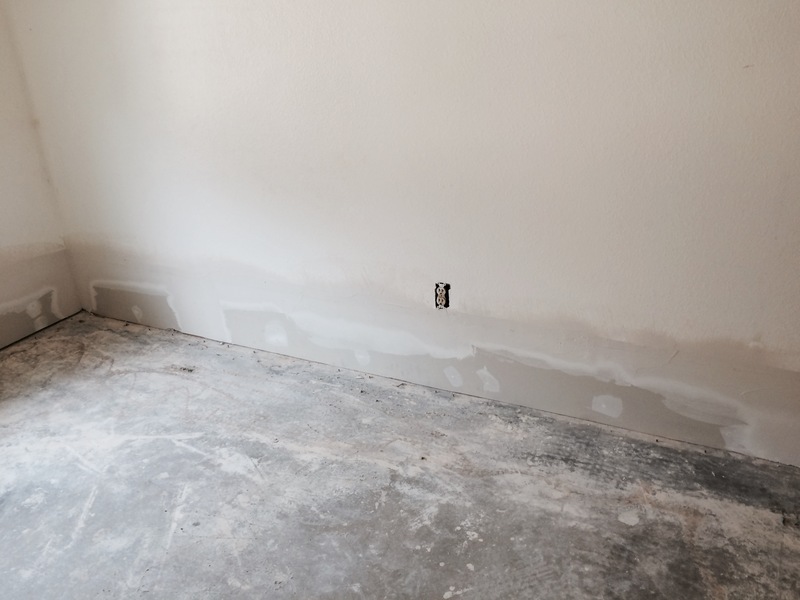 As of today they have replaced all damaged drywall, texture coated the walls, prime coated the walls. Monday they will be painting all the walls except for the bathrooms. We have decided to do a bath remodel while everything is removed (pics in next post.) Hubby will be adding porcelain tiles above the new tub! We are hoping the doors are installed this week. Here are some pics of our dining room. left one is before any repairs. Right one is from last Thursday before the texture coating and primer coating was applied.